Even those who live on the west coat can enjoy the colors of fall. 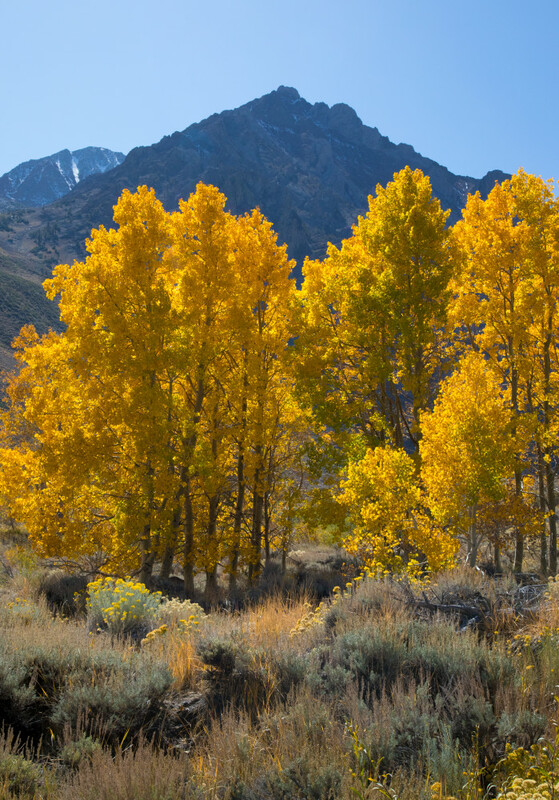 Mountains and trees are two of my absolute favorite subjects, so the Sierra Nevada range near Mammoth Lakes is an ideal place to visit. I have made numerous trips there in the fall and it never ceases to put a smile on my face. I hope you can enjoy the scenery and feel a little bite in the air as you look at these images.